We are very thrilled (especially our son) to let you all know the Kaviar (Cod Roe Crème) has finally arrived. It’s been a long wait! Our son has found a new favourite combination – Cod Roe Crème on Wafer Crispbread – Yum. VP Onion and Carrot pickled Herring. Kex chocklad Blueberry – Do you love Cloetta Kex Chocolate ? We are pleased to introduce your new favourite – Cloetta Kex Chocolate with Blueberries! This is our last shipment of Herring before Christmas – make sure you don’t miss out! New exciting BRIO Train Setsin stock !! We have extended our range of the truly popular Diinglisar from Teddykompaniet. Check out our Toy Section Today! As the shipment was delayed we decided to extend our Candy Sale for another week, but be in quick as this sale ends on Sunday the 4th Dec.
Last Sunday was the 1st of Advent and in Scandinavia this means you start decorating your house with candles etc. Check out our great range of Rotary Candle Holders with Christmas Motifs. 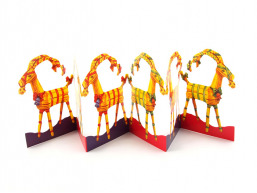 We also have a limited number of traditional Christmas Wall prints and fold out paper rows. You’ll find them in our Christmas Shop. Our Friendship Flag pins also arrived this morning. What a great Christmas present (for under $5!) to show your true identity. Choose between the traditional NZ Flag or the newly made (Especially for us at SweNZ Taste!) Silver Fern Flag combined with the Scandinavian Flag of your Choice. Sorry the NZ - Finland flag has been delayed, will arrive next week. But we do have the Finland-Silver Fern Flag! Almond paste is made from ground almonds or almond meal and sugar, typically 50-55%, with a small amount of cooking oil, beaten eggs, heavy cream or corn syrup added to bind the two ingredients. It is similar to marzipan but marzipan contains more sugar than almond paste, and often contains additional ingredients such as food preserves and food coloring. Almond paste has much less sugar, typically 50-55% compared to 75-85% sugar for marzipan of cheap quality. 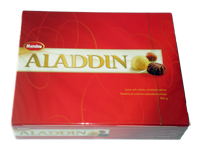 Almond paste is used as a filling in pastries, but it can also be found in chocolates and as a higher quality alternative to marzipan. In Sweden (where it is known as mandelmassa) it is used in biscuits, muffins and buns and as a filling in the traditional spring season pastry semla and is used in Easter and Christmas sweets. In Denmark (where it is known as marcipan or mandelmasse), almond paste is used in several pastries, for example as a filling in the Danish traditional pastry kringle. Have you ever tried making a Janssons/Jensens temptation here in New Zealand using Anchovies from the supermarket? Have you noticed the difference in flavour? This is because what we in Scandinavia call Ansjovis is not the same as Anchovies. The fillets called anchovies in Sweden and Finland alike are sprats (Sprattus sprattus), and not the genuine anchovy (Engraulis encrasicholus). Anchovy Flavored Herring Fillets has the same distinctive taste and can be used to prepare these dishes. 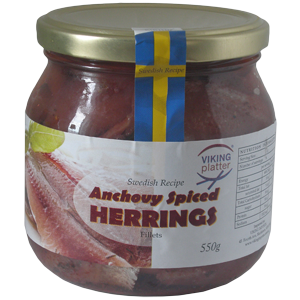 When using Anchovy Flavored Herring Fillets, please substitute a 125g Swedish Anchovy can with 8-10 finely chopped Anchovy Flavored Herring Fillets. For a scrumptious recipe on the traditional Jansons Temptation or a lighter alternative, Mormor's Anchovy Roll please visit our recipe page.